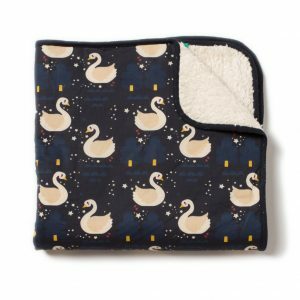 Our sell out blankets are back! Glide with elegant swans on a starlit night. 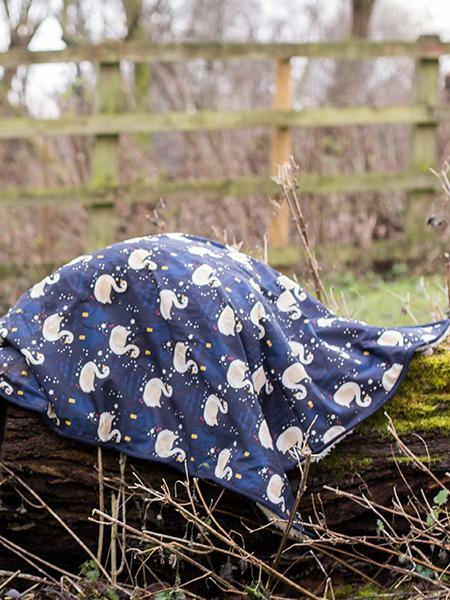 This cosy baby swaddle with super soft organic sherpa on the reverse will keep little ones warm all Winter.